I planned my 2011 training plan to start from today so decided not to run over the weekend. I’d ran over 40miles in the 3 runs last week. 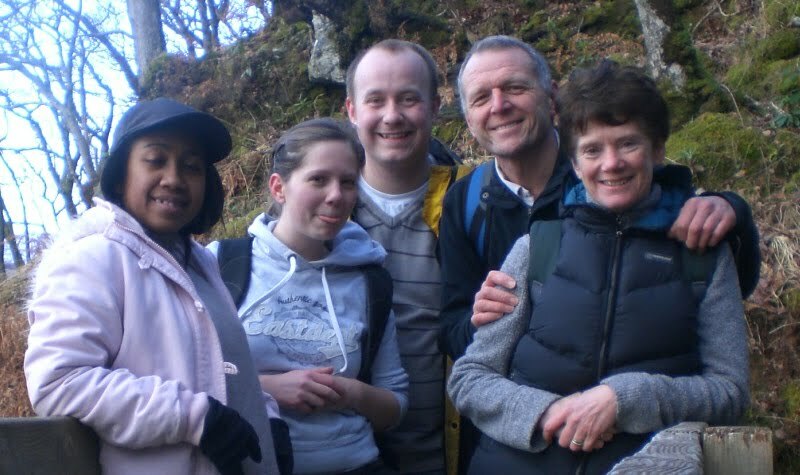 On Saturday we went for a family walk from Rowardennan. We walked a mile and a half along the whw route and then dropped down on the loch-side alternative path. It is very similar to the path after Inversnaid and a lot slower going but we were walking, taking our time so that was fine. The path brings you back to the main path which we followed back to Rowardennan. So today starts my 2011 training plan with the main race being the whw race in June. Monday night’s is our club Fartlek session and even though Elderslie Baths was closed as it’s a bank holiday a few of us still met. There were three of us in our group. Donald, David Mac and I. It was raining as we arrived, raining as we ran and raining as we finished! Normally Donald is setting the pace but his calves are still sore from the Donald Crawford Race on Friday so he was taking it easy. David and I pushed on and made sure we both worked hard right through the session. I was pleased with how I was going. 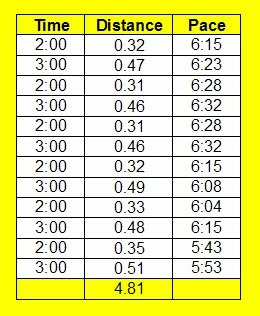 Derek our coach gave us a straight forward session of 2min on (with 1min recovery) then 3mins on (with 90secs recovery) repeated 6 times. I’m getting closer to the 5miles for the 30mins! I was pleased to see that the last set was the fastest. I decided to enter the Inverness Half Marathon on Sunday 13th March. This will be Katrina’s first half marathon so I thought I’d run it as well. It fits in well with my training plan and friends say it’s a great route and well organised. Plus we get to stay with Jo & Jono for the weekend!